Las Vegas, in Nevada’s Mojave Desert, is famed for its vibrant nightlife, centered around 24-hour casinos and other entertainment options. The Strip is home to themed hotels with elaborate displays such as fountains synchronized to music as well as replicas of an Egyptian pyramid, the Venetian Grand Canal, and the Eiffel Tower – but the best bet for reunion groups is to look for reunion-friendly hotels off-Strip. 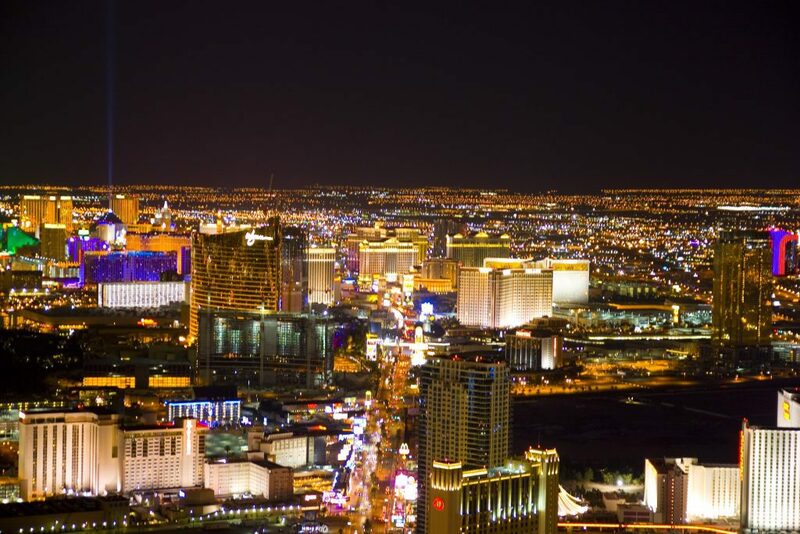 There is more to do in Las Vegas than have Lady Luck break your bank account. Visit Nellis AFB and tour the Museum of the Thunderbirds. Other great attractions include the Mob Museum, where events of Mob history are revealed through interactive and engaging exhibits. Also tour the National Atomic Testing Museum, which documents the history of nuclear testing at the Nevada Test Site north of Las Vegas. Enjoy a tour through the thirteen-mile scenic Red Rock Canyon and visit Hoover Dam, the Western Hemisphere’s highest concrete dam.